The event is an opportunity for unity among kids who may feel like a minority on college campuses. 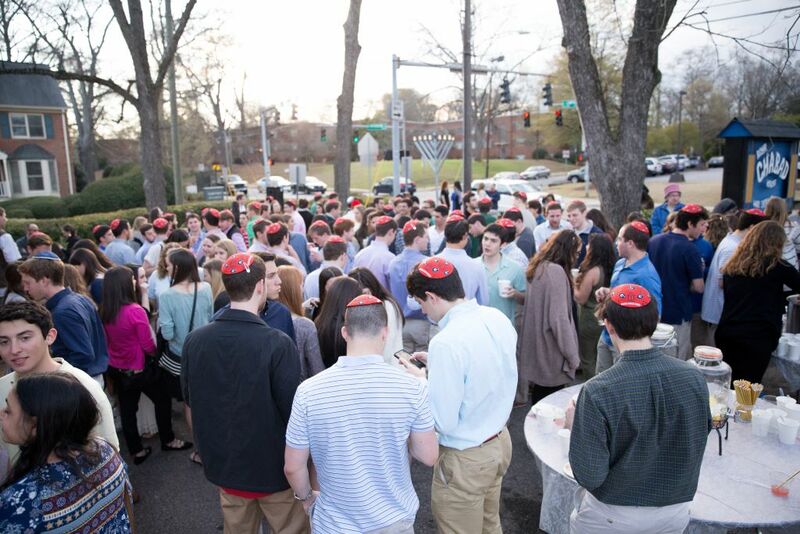 Students mix and mingle at the pre-dinner matzah ball at Chabad at UGA’s Shabbat 500 celebration. 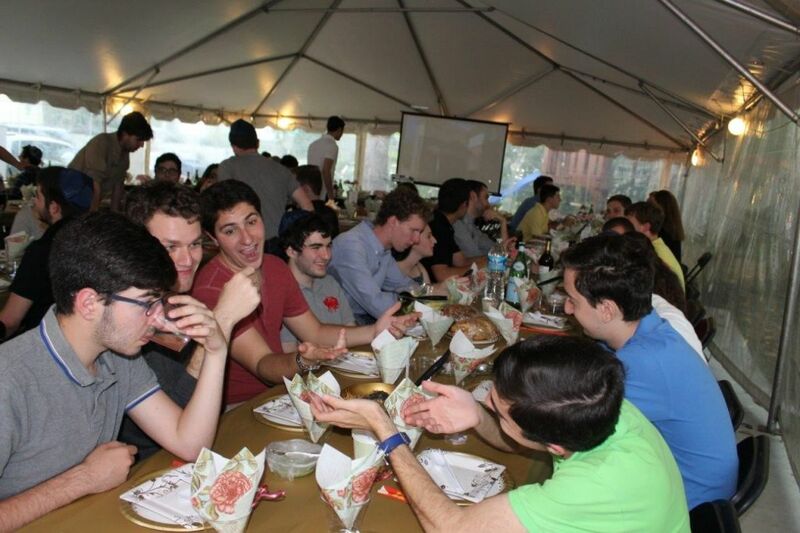 For many college students, Shabbat dinner is just a fond memory nine months of the year, but Shabbat at Chabad makes the weekly observance a celebration of Jewish life and culture. 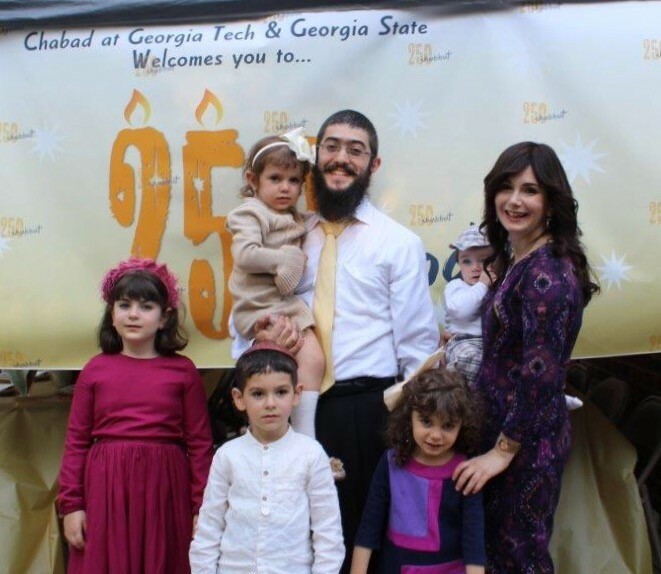 With the school year winding down, Chabad on Georgia campuses recently held mass celebrations of Shabbat: 500 students each at Emory and the University of Georgia; 250 at Chabad Downtown, serving Georgia State and Georgia Tech; and 100 at Kennesaw State. 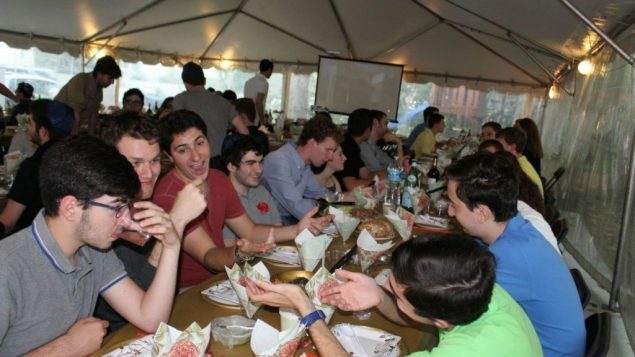 Altogether, more than 1,350 college students gathered for home-style Shabbat campus dinners with Chabad. 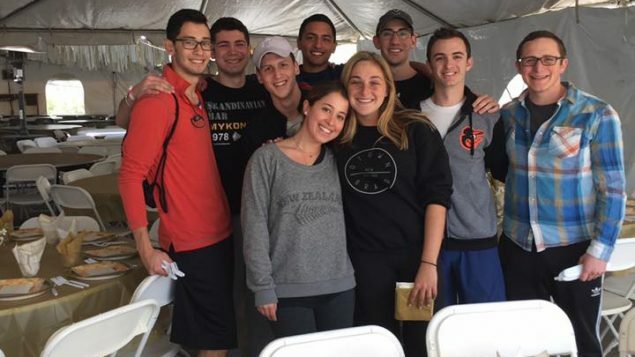 Chabad typically is a place where college students can relax. A 500-student Shabbat dinner means arranging students around 50 tables. 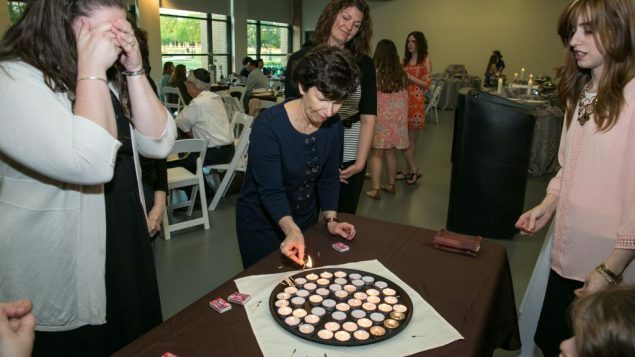 Providing a space where students feel comfortable in a religious setting takes skill, and Lipskier said that mixing and mingling are among the most important components of events like Shabbat 500. 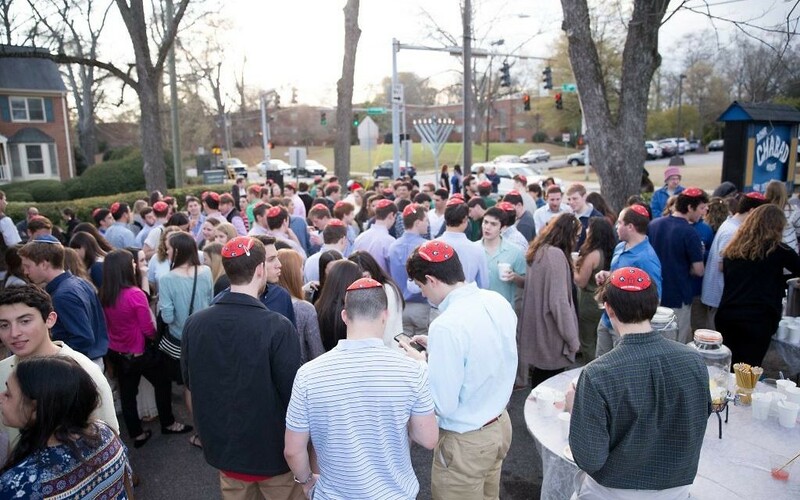 Both Chabad at Emory and Chabad at UGA hosted matzah balls for students to schmooze, with the hope of forging relationships. Shabbat dinner at Chabad at Emory typically draws 150 to 200 students, including some who are not Jewish but attend while hanging out with their Jewish friends and enjoying what has a reputation for the best food on campus. 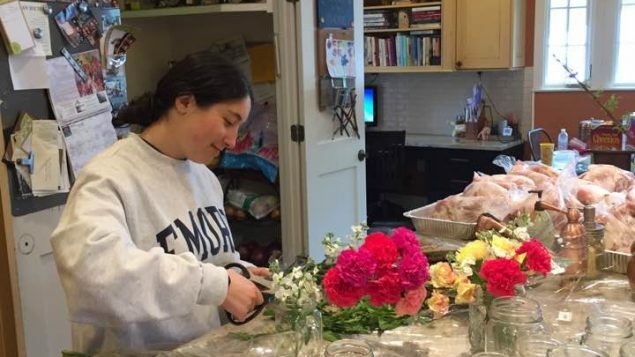 During holidays, the turnout rises to around 300 students, so Lipskier is an expert at planning large Shabbat dinners. For Shabbat 500 she enlisted the network of the Jewish students. 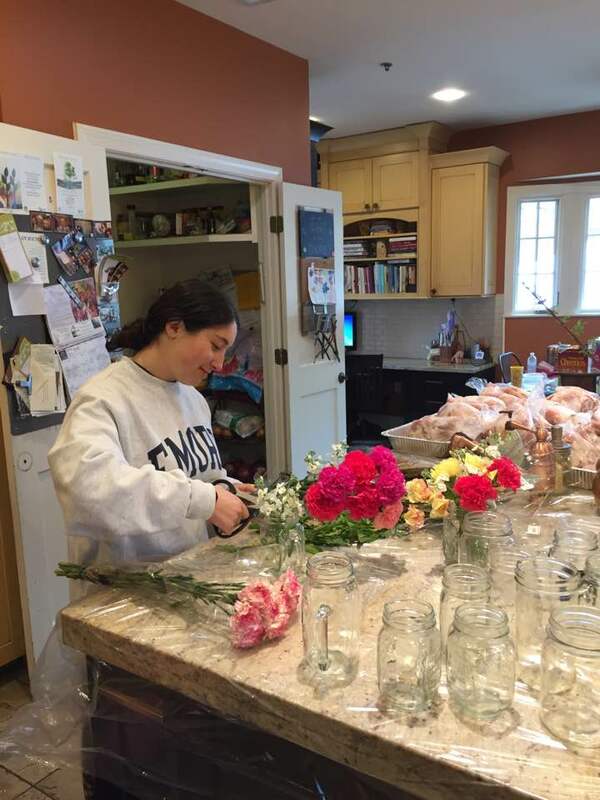 Student preparations for Shabbat 500 at Emory include creating floral centerpieces for each table. Students helped prepare the meal, set up tables and created the floral arrangements for each table. Lipskier depended on the students to volunteer with meal prep while she handled the technical aspects. Students even helped take care of her 6-month-old baby. After a social hour, the dinner featured brisket, kugel, roasted chicken, rice and roasted vegetables. The dessert was sponsored by Ali’s Cookies, and eight students baked wookies, a cookie dessert available only at Chabad at Emory. As they do every Shabbat, students stayed long after dinner to talk and sing, continuing until about 2 a.m. The diversity in the Jewish community leads to great conversations, Lipskier said, but at Chabad labels don’t matter. What matters is that students are there. UGA has about 2,000 Jews among 36,000 students. The goal for Chabad at UGA is to connect the Jewish students on campus and create a sense of normality around Jewish culture, said its director, Rabbi Michoel Refson. He and his wife, Chana, have hosted Shabbat 500 for seven years. The event is an opportunity for unity among kids who may feel like a minority at the University of Georgia. Students from Georgia Tech and Georgia State gather for their second Shabbat 250. 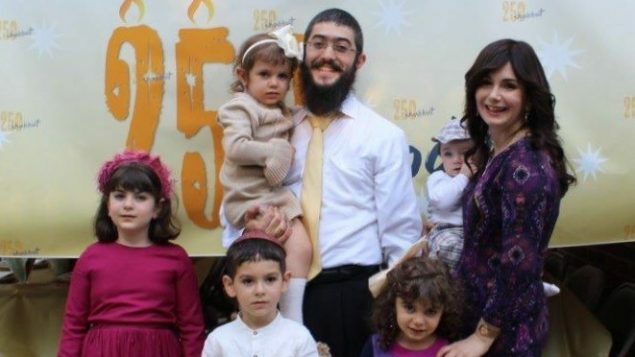 It’s the same sense of pride that drives the Chabad center serving Georgia State and Georgia Tech, led by Rabbi Shlomo Sharfstein and his wife, Shifra. It is easy for Jewish students to get lost amid the general student body, but Shifra Sharfstein said that’s why Chabad is necessary. “The exciting part is that we had a lot of new faces, and the highlight was the students seeing a bunch of familiar faces from campus, but they didn’t know they were Jewish,” she said about Shabbat 250. 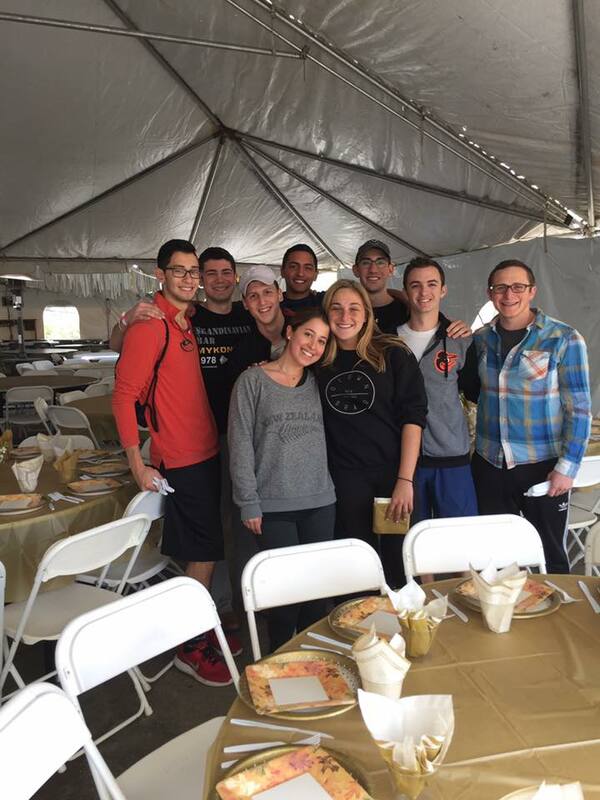 It was the second mega-Shabbat for the Chabad house serving Tech and State. She said the first year was more of challenge to prove they could pull it off. The Sharfsteins are ready to welcome 250 Georgia Tech and Georgia State students for Shabbat. For Chabad at Kennesaw State, the first Chabad 100 was a historic event. The university has a growing Jewish population, and Chabad wants to enable Jewish students to have an authentic Jewish experience away from home, said Rabbi Zalman Charytan, the director. The Kennesaw administration has been supportive of Chabad, and Shabbat 100 included university President Sam Olens and his wife, Lisa, and Provost Ken Harmon. 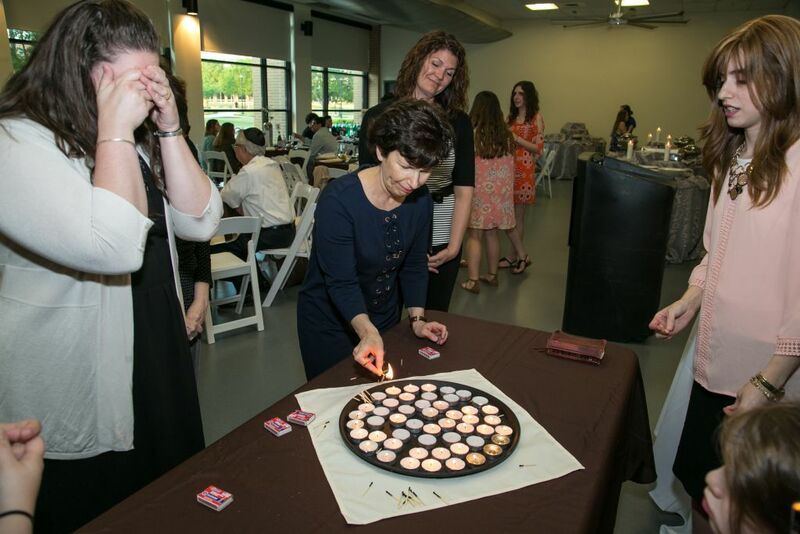 Lisa Olens, the wife of Kennesaw State President Sam Olens, lights candles before Shabbat. Drawing Jewish students closer to Judaism is the mission for every Chabad house on any campus, and Rabbi Refson said it’s always done with openness and understanding.